is used to restrict a user to a certain amount of disk space usage. Mainly its used to check/track how the space is used. 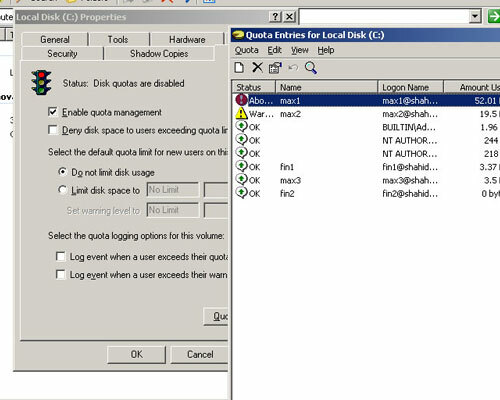 Disk Quota is configured on each drive. 4,186,660,864 bytes total disk space. 8,192 bytes in 2 folders. 4,186,648,576 bytes available on disk. 1,022,134 total allocation units on disk. 1,022,131 allocation units available on disk.